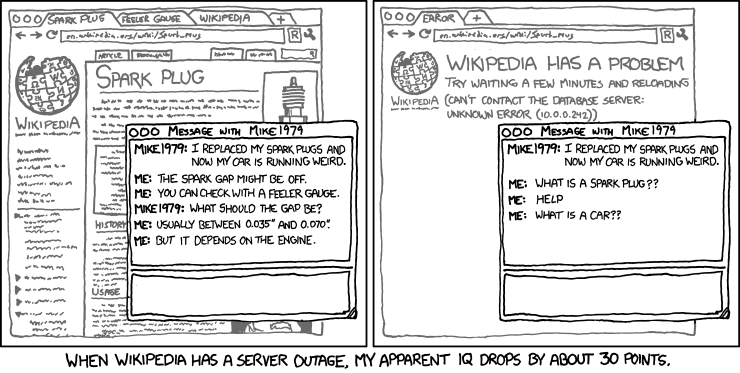 Are you one of those people who try to act smarter by using the internet? I know I am. 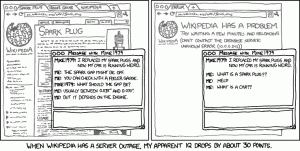 XKCD made a really funny comic that identifies this phenomenon. Click the image to make it larger. This entry was posted	on Thursday, May 26th, 2011 at 8:26 AM	and is filed under Funny. You can follow any responses to this entry through the RSS 2.0 feed. You can leave a response, or trackback from your own site.